Add comfort and convenience to your morning with WarmlyYours ClearlyYou™ Mirror Defoggers. By gently heating the reflective surface, they prevent condensation, allowing you to step out of the steamiest bath or shower to a clear view. No more streaky mirrors from wiping mirrors by hand. 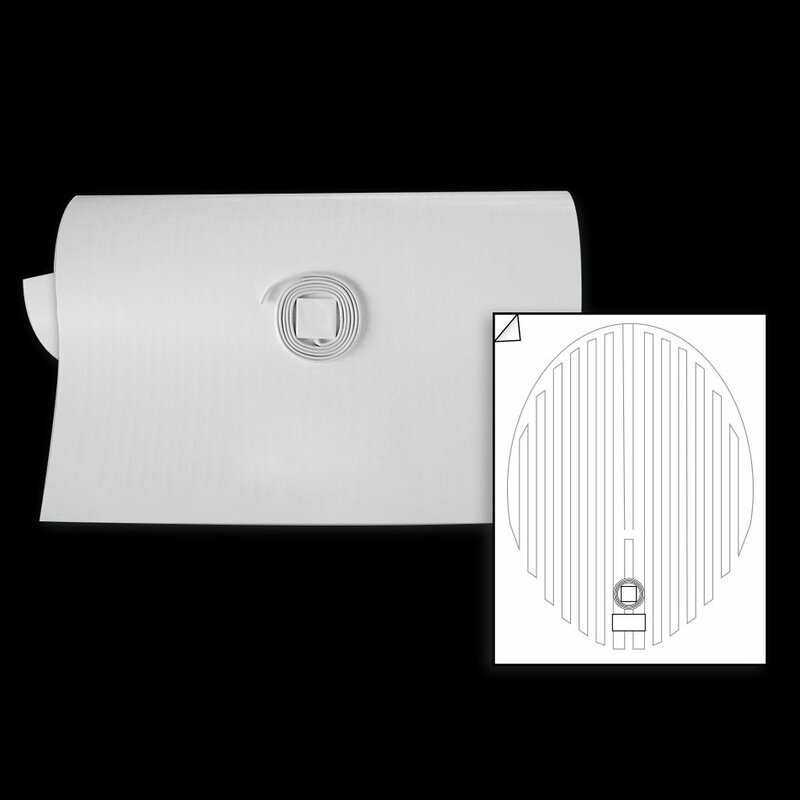 Available in several shapes and sizes, ClearlyYou™ Mirror Defoggers feature self-adhesive backing for quick and easy application to any wall-hung mirror. This 24” X 32” oval mirror defogger is ideal for larger, decorative mirrors. Drawing only a minimal amount of energy, WarmlyYours ClearlyYou™ Mirror Defoggers operate at a safe, constant temperature of 104 degrees. With ore-attached power leads, they conveniently connect to your bathroom's 120V lighting circuit. Mirror defoggers are not suitable for installation in showers. Size (Overall) 24" x 32"